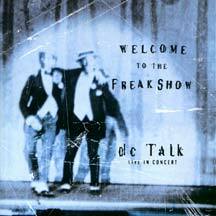 DC-Talk is made up of Toby McKeehan, Michael Tait, and Kevin Max. The three met while they were young men at Liberty University in Lynchburg, Virginia. They (as of the year 2000), spent ten solid years together, performing all over the world, recording 6 albums, and earning many awards, including 4 Grammy awards. They filled a huge need, offering interesting, entertaining music aimed at the young / young at heart which creatively combined Christian rock / hip hop / rap / R&B / contemporary Christian; a form of Christian music which was a breath of fresh air in the 1980's when they formed as a group. 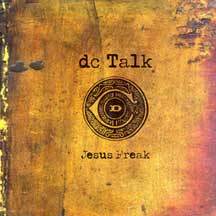 Their unique sound was paired with lyrical messages which not only proclaimed the Gospel, but explored what it means to follow Christ. In ten years, all three men have evolved as people, musicians, songwriters, vocalists, and artists, and it is only natural that they want to explore their own potential, using the musical gifts / songwriting abilities that the Lord has given them. So after more than ten years together as a group, they are taking a break in recording together to pursue their own activities outside of the band, and launch solo careers in recording music. Toby "Mac" McKeehan has his own record company, Gotee Records, which has produced such well-known artists as Jennifer Knapp, Out of Eden, Grits, and more. Michael Tait grew up in DC with 5 brothers and sisters. When not on the road or in the studio, Michael has been spending time developing his songwriting and production skills. Kevin was raised just outside of Grand Rapids, Michigan, where music was a big part of his life growing up. Having published several books, Kevin has a gift of writing his thoughts down in both poetry and song lyrics. He has been evolving as a lyricist, songwriter, and musical artist, exploring his new freedom in being a solo act. Kevin moved to Los Angeles and began again as an independent Christian artist / performer and songwriter, co-writing enough songs for 2 3/4 albums: STEREOTYPE BE, BETWEEN THE FENCE & THE UNIVERSE and his latest release, THE IMPOSTER, which is reviewed on our Reviews Section.